Side dishes are often the last thought on my mind, especially on busy weeknights. But I have a stable of "go to" recipes I turn to again and again, because they're easy and my family likes them. Here are my top ten. This is one of those recipes that you can vary dozens of different ways with different vegetables and salad dressings. 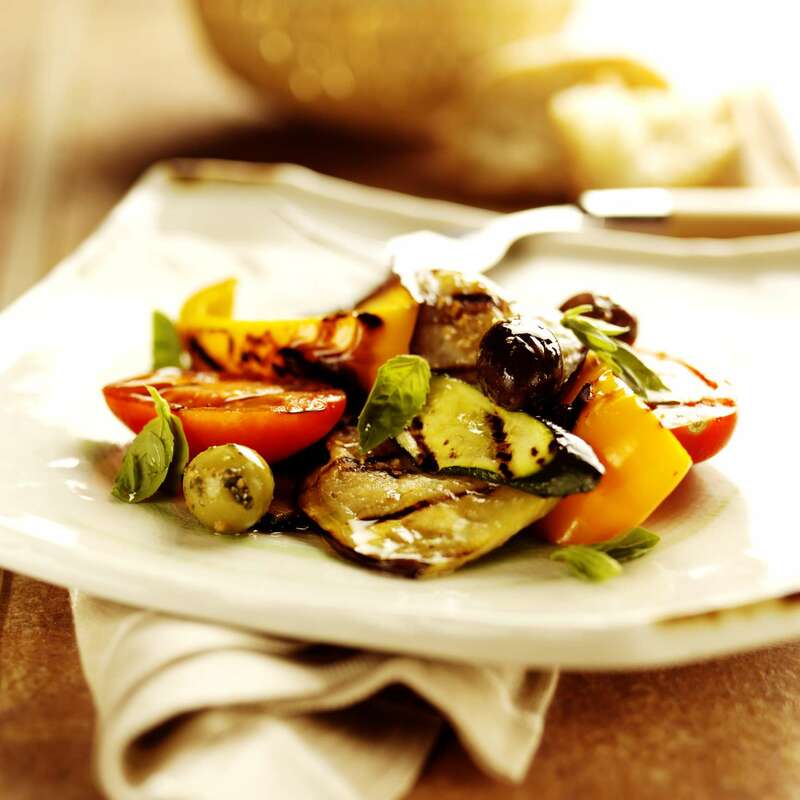 For this grilled vegetables recipe, we've used zucchini and mushrooms here, but you can also use onions, red peppers, asparagus, eggplant and more. If you're having trouble with the vegetables falling through the grill grates, just grill them whole, then cut after grilling. This roasted green beans recipe requires very little prep time, yet tastes amazing. If you want the kids to eat green beans like French fries, try this easy side dish recipe. The broccoli for this recipe is steamed in the microwave, so it's a pretty quick side. To make this broccoli with cheese sauce recipe even easier, use pre-washed, pre-chopped broccoli, which you can find in the produce section of your supermarket. Want foolproof rice without having to watch the clock? This crockpot rice recipe is the answer. Use jasmine or basmati rice for the fastest results (it'll take 1-1/2 to 2 hours) or converted rice, if you want to give it 4 hours or so. Kale is loaded with vitamins, minerals and fiber, making this super healthy crispy kale recipe a hit for the entire family. And this preparation for kale is not only easy, it's incredibly tasty, too. The roasting mellows the kale and makes it crunchy. This broccoli salad recipe is one of those dishes that is great for potlucks, and people always want the recipe. The combination of crunchy, creamy, sweet and salty is amazing. To save time, use pre-cut broccoli florets and pre-cooked bacon for this easy side dish. This hearty mashed cauliflower twice baked potatoes recipe has lots of flavors kids love: potatoes, butter and cheese. But it also has good-for-you cauliflower and it tastes great. Save time in preparing this recipe by buying pre-chopped cauliflower florets. This is one of those dump-and-stir recipes that is easy enough for a five-year-old to make. Really! The only thing a kindergartener couldn't do to prepare this corn pudding recipe is put it in the oven. This creamy vanilla sweet potatoes recipe is one of our favorite sweet potato recipes. The sweet potatoes are roasted, then mixed with cream cheese, butter, maple syrup and vanilla. Although the recipe calls for topping with bacon, this dish tastes just as great without it.